In simpler terms, caller ID spoofing allows you to display a phone number different than the actual number from which the call was placed. With caller ID spoofing, you can send and receive outgoing or incoming phone calls or texts that appear to be from any phone number of your choosing. Though spoofing offers many legitimate and useful benefits to its users, it is also one of the many ways scammers steal your personal identity and money over the phone. Over the years, a spoofing strategy called neighbor spoofing has grown to be one of the driving factors behind nearly 3 billion spam and telemarketing calls mobile phone owners in the United States receive each month. Neighbor spoofing works by tricking recipients into thinking they are receiving a legitimate phone call by showing a caller ID that matches or is close to your phone number’s “NPA-NXX”. By matching their NPA-NXX closely to yours, spammers try to trick you into thinking the call is coming from a legitimate phone number because it looks as though it’s coming from a phone number in your area code. This makes you much more likely to answer the call, and therefore even more likely to fall for a phone scam. To protect yourself from neighbor-spoofed spam calls, identify your phone number’s NPA-NXX following the steps below. When you receive incoming calls from similar area codes and prefixes, beware. It may be a phone scammer! It is important to note that, though it is true that some forms of caller ID spoofing have been used as a vehicle to inflict harm on innocent victims, it is not entirely to blame for the growing robocall and phone scam problem in the United States. Like many tools or products that have been used to cause damage or harm to others, the people behind the illegal (and harmful) spoofed phone calls or texts are the root cause of the problem. To truly stop illegal caller ID spoofing phone calls, you must enlist third-party solutions such as TrapCall to address and stop the issue at the source. The short answer is yes, most forms of caller ID spoofing are legal. The only circumstances in which caller ID spoofing is illegal is if it has the intention to cause harm in some form. If no harm is intended or caused, spoofing is legal. The Under the Truth in Calling Act from the Federal Communication Commission prohibits any person or entity from transmitting misleading or inaccurate caller ID information with the intent to defraud, cause harm, or wrongfully obtain anything of value. Anyone who is illegally spoofing can face penalties of up to $10,000 for each spoofed phone call or text violation. Though the Federal Trade Commission has done their part to try to ensure caller ID spoofing services are not abused by the spammers, their lawmaking efforts have been pretty ineffective thus far. This is because the criminals behind these spoofed phone calls already know what they’re doing is illegal. No crook is ever going to read the FCC handbook on caller ID spoofing before picking up the phone to scam you. But because caller ID spoofing offers such a promise of total ambiguity without the price of getting caught for their crimes, the reward greatly outweighs the risk. Caller ID spoofing works in a few ways, the most popular being through VoIP (Voice-over-Internet-Protocol) technology. VoIP is the technology that allows for voice communications to be sent over an Internet connection rather than through a typical phone line or cell tower. Some VoIP providers allow users to configure the number they display as the caller ID through the configuration page on their website. The user opens the application (web or mobile) of the spoofing provider. They enter the number they wish to call, followed by the number they wish to display. The VoIP Service changes the outbound caller ID and then connects the user to their desired number. Though not all spam calls you receive come from spoofed phone numbers, a vast majority of are neighbor-spoofed. This is because spammers value the promise of total ambiguity that neighbor spoofing offers their elaborate phone scams. Neighbor spoofed spam calls are the type of caller ID spoofing that is considered harmful and damaging to the recipient because they are designed to steal your time, money, and personal identity over the phone. The technology behind spoofing makes the calls or texts nearly untraceable. Not only can you not access the real phone number behind the call, but trying to call the phone number of which spammed you will either show as inactive or direct you to the person of which phone number was stolen to place the call. This makes reporting the spam call almost entirely a waste of time because in this circumstance you are never providing an accurate report of the phone number that illegally spammed you. Many of these callers originate from international locations (especially third world countries), where they have even less to lose than scammers in the United States. These callers have no regard for our communication laws and our Do Not Call Lists. They have the lowest regard for our personal wellbeing. What they get in return for posing as Microsoft Tech Support or the IRS is much more than they could ever make in a day working elsewhere in their country. Spoofed Spam Calls: What is the Risk? The consequences engaging with neighbor spoofed spam calls can be devastating for its victims. Though it is reported that roughly $450 million USD is lost to phone scams each year, our research suggests that this figure is hardly a representation of the true impact. That figure only accounts for those who have reported the incident or financial devastation from personal identity theft that happened months after the phone scam. If you are looking to prevent harmful spoofed phone calls, we recommend you sign up for TrapCall. Neighbor spoofed spam calls are also particularly dangerous because they are nearly impossible to predict or prevent without the help of spam call blocking services. Most times, spammers target their victims at random — meaning you have about a 50/50 shot of receiving a spam call if you haven’t already. Because the Do Not Call List was not designed to protect you from neighbor spoofing, and your iPhone and Android can only block the fake numbers of which these spoofed phone calls are being placed from, you must take matters into your own hands to ensure you are protected from harmful neighbor spoofing. How Do You Stop Caller ID Spoofing? The best solution to stop caller ID spoofing is to ensure spammers and telemarketers cannot reach your phone. If they cannot get you on the phone, they can’t steal your time, money, and personal identity. This concept of a solution addresses the root of the spam call problem – if spammers can never get anyone on the phone to steal from them, spam calling is a much less attractive market to continue doing business in. However, as you now know, this can be challenging to accomplish because many solutions you once thought could help you have proven to be ineffective. To take matters into your own hands and effectively stop harmful neighbor spoofing, you must download a call blocker app such as TrapCall. With TrapCall, you are protected before you receive a spoofed spam call. We highly recommend signing up for TrapCall as the best solution to protect from unwanted neighbor spoofed calls. 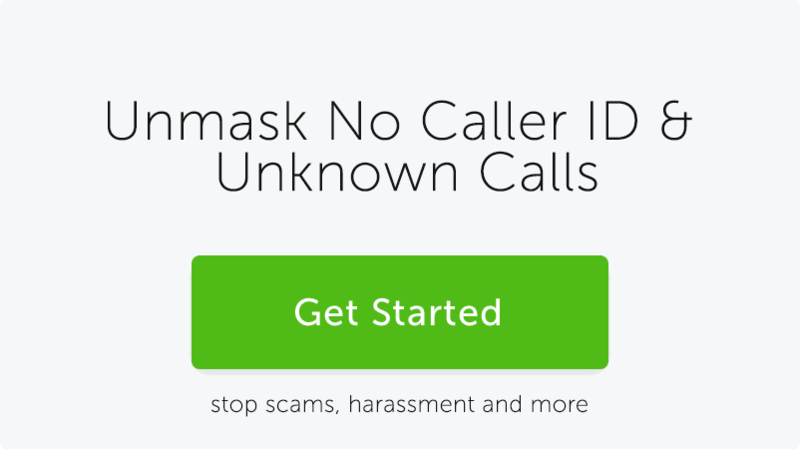 TrapCall is the only call blocker app that provides you with the essential toolkit to combat harmful spoofed spam calls, phone scams, and phone harassment. With TrapCall, you can easily hold callers accountable for their phone crimes and abuse. TrapCall users enjoy features such as spam call protection, personal blacklist and whitelists, blocked call unmasking, reverse phone lookups, incoming Caller ID, and phone call recording in our Premium and Ultimate packages. TrapCall is a secure investment that ensures your privacy and personal information are protected from unwanted callers of all kinds. Click Here To Get Started with TrapCall!